Hello! Hello! I'm joining the other lovely ladies on the Alley Way Stamps DT today to preview the new Point of View stamp set, which features a bunch of fun hand drawn border strips including arrows, chevrons and hearts. For my card today, I'm using the heart border strip, and I started by heat embossing the image in platinum onto white CS. I then adhered the embossed layer to an aqua card base using foam tape. Next, I die cut a large sentiment using aqua CS, and adhered it to a piece of blue textured CS. 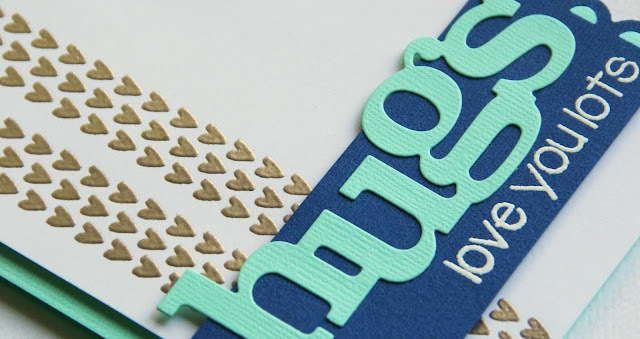 I heat embossed one of the sentiments from From Us with white embossing powder, then used a border punch to add a scallop end to one side of the blue CS. 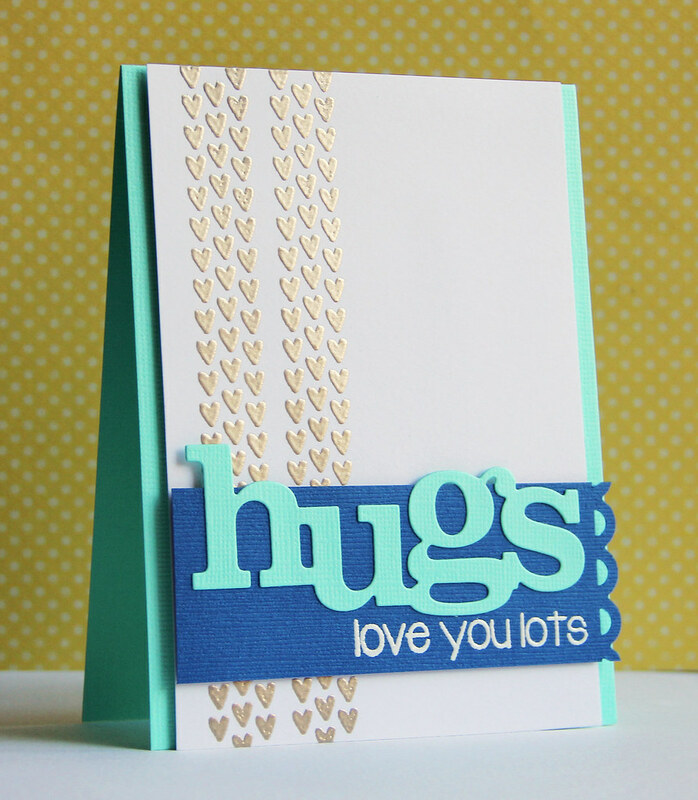 To finish up, I adhered the sentiment panel to the card base with foam tape. All text, photographs and design work is © Heather Pulvirenti. It is shared only for your inspiration and may not be copied for publications or contest submissions.